The list of kits for sale is at the bottom of the page after all of the long winded explanations. Sorry for this, but I get a lot of questions and it’s easier to just put the answers on the website. You can get a lot more info on my SAQ page. Based on the email I receive, the first thing I need to mention is that I don’t provide plans. You can get plans from the internet, the same way I get them. Get them printed at a local printing shop if you want a hard copy. Now let’s talk about the kits. When you buy laser cut parts from me, I provide the wood, cut the parts, and mail it to you. You don’t have to send me any wood. 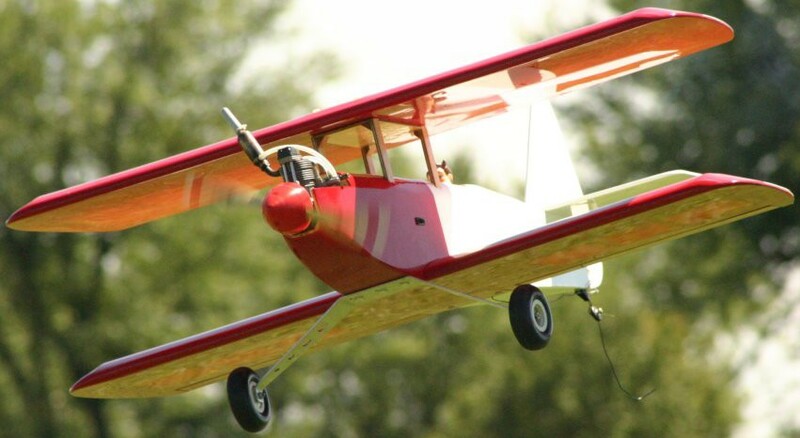 A short kit includes the parts that need to be cut to a specific shape, but it does not include hardware or landing gear, or generic sheet or stick wood, such as wing sheeting, spars, etc. You’re a scratch builder and I’m a guy who cuts out the complicated parts for you. Don’t worry about whether or not I have kits in stock. Everything on the list is available. I cut it when you order it. Laser cutting the sheeting for arched hatches and turtle decks may seem like a good idea. But it’s better for the builder to cut these because of irregularities in building. My laser cutter does a good job cutting plywood up to 1/8″ thick. Anything thicker than that ends up looking like a burned cookie. 1/4″ ply parts will be cut from two pieces of 1/8″, to be laminated by the builder. 3/16″ parts will be made from two 3/32″ layers, or sometimes I will simply substitute one layer of 1/8″ when appropriate. 3/8″ balsa also takes a pretty severe beating in the laser cutter if it’s too hard, but sometimes I have 3/8″ balsa that is of the right consistency for good cutting. So you could get 3/8, or you could get two layers of 3/16 for laminating. Look at my SAQ page for detailed info. The short version is that you email me and tell me what you want. Then I give you a total with shipping. Buy multiple items at the same time to save shipping costs. Paypal, checks, cash, money orders are all acceptable. If you have a set of cutting files that you or somebody else drew already, you can email them to me for cutting. In this case, mistakes are your responsibility because I can’t guarantee the results. If you find an error in your kit, please let me know so I can fix it. If you find a mysterious piece of wood in your kit that looks like this, it’s probably a dihedral gauge. The top left piece goes in the leading edge of the wing. The top right piece attaches to the spars. The bottom piece attaches to the bulkhead in front of the wing. A dowel goes through the holes. Go to my tutorial on changing your rubber band wing to a bolt-on wing for details. Photos of your completed models are always appreciated. I have already done the drafting for quite a few airplanes. I’m always adding more, and the planes I have done are listed below. On some of them I have incorporated my own modifications, which I think the average builder would like. If you prefer that your kit be cut out to original standard specs, let me know. You can click on the name of the airplane to see modifications, general building notes or other info. Some of the listings below are not clickable, but don’t worry, they are all available. These kits are all available, even the non-clickable ones. Servo tray, lite or hard ply $2.50 You specify dimensions. Buy more and get a huge discount. Foam cutting templates $12.00 per pair. 1/16 plywood. Includes holes for pinning to the foam.